Melissa Bickford has designed a gorgeous collection of modern basics, containing many of the traditional holiday icons with a fresh new look. Filled with lots of two-step options and gorgeous sentiments, you will never tire of using this set for all of your tags, cards and more this Christmas! Lizzie Jones always puts such a great modern twist on her designs, and this new snowflake set is certainly no exception! You can layer and rotate these little loop-de-loops in different color combinations and arrangements to create an endless array of designs! The coordinating dies bring it even a step further! You all loved the Shaker Shapes: Snow Globe die collection from last month, designed by Betsy Veldman. 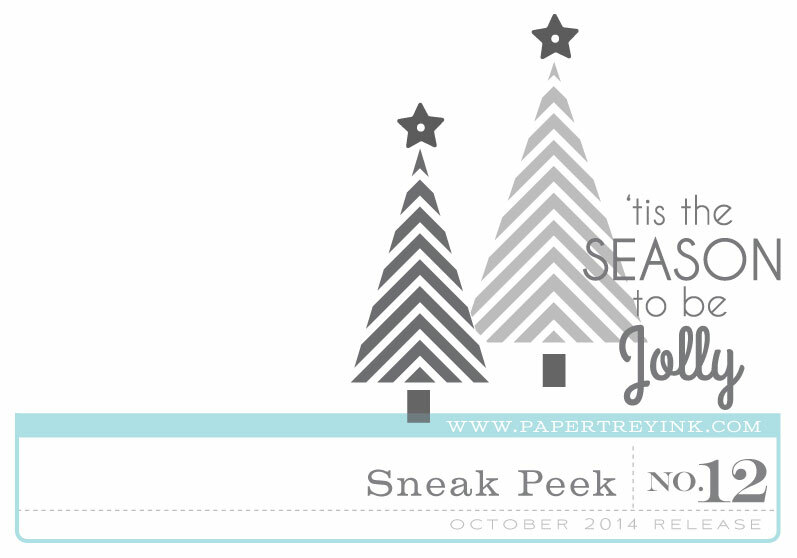 How about a mini $5 set of sentiments to coordinate with the label included in it? The little striped label image and all of the holiday sentiments she manged to squeeze into this little set make it well worth the price tag! 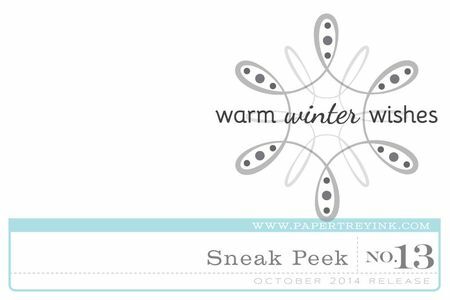 Tomorrow kicks off the parade of projects, ideas and inspiration using all of the new October products! So be sure to stop by every day for the next week because we have some incredible things to share with you! Love the new tags and the snowflake they are awesome. oh wow totally love.. so pretty..
Oooooooooooh I love those snowflakes! I’m looking forward to tomorrow to see what you have done with all these new stamps. Oh, I can’t wait to see all this goodness! I know I want the sentiments for the snow globe! Great snowflake !i have loved all the peaks! Holding my breath till the 15th. Yay!! Another set from Melissa!! I love the little trees. So modern and sweet. Love the snowglobe tags – gives me more reasons to keep pulling out my favorite snowglobe die! 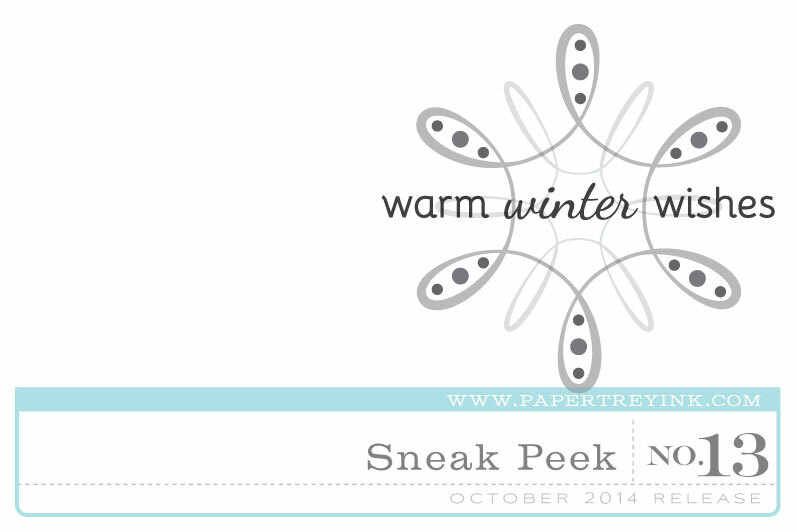 Wonderful sneak peeks!!!! So excited! Really like what I see so far ~ only one more day-yay! Love all of these! Now that there is a sentiment set for the snow globe die, it makes me want to get that one, too! Adorable! Christmas my favorite time of year! Love the cute trees and the snowflake! Such a cute release, can’t wait!!! Oh my! The modern trees and snowflakes are delightful. Love those new loopy snowflakes! So unique and totally fun! L O V E the Chevron trees. They will make timeless cards! Every new Sneak Peek makes me want more! Love both the trees and the snowflake sets! Ugh! I’ve been waiting to get my hands on that die. I hope it comes back in stock soon. This new stamp makes me want it even MORE! It just keeps getting better. Snowflakes that can be used all year Too cool. I LOVE.LOVE this. The trees are awesome, the snowflake is innovative and how about those sayings from Betsy….YUMMY!!!! I just hope that the snow globe will be in stock for my next order! I really like the zigzag trees. I love the snow globe die label!! Love the trees and the snowflake. Can’t wait to see what you guys have done with these. Loving everything I see today!!! Lovely stamps…..I want them all! I love that the Shaker and Sprinkles set keeps growing. These little labels should be a great addition. Phrase play 9 looks lovely. There is just something about Xmas stuff…so cute! It just gets better each month! I love PTI!! !